American Flowers Week “In Bloom” — Ideas and Inspiration from Around the U.S. 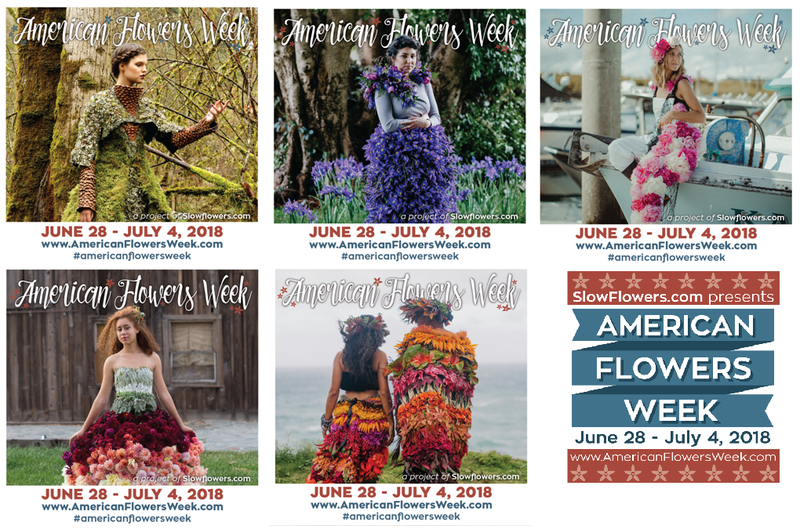 This year’s American Flowers Week reached garden and flower lovers from all across the country and inspired dozens of events and celebrations to commemorate and honor local farmers, flower growers, and florists who garner a passion for USA-grown blooms. 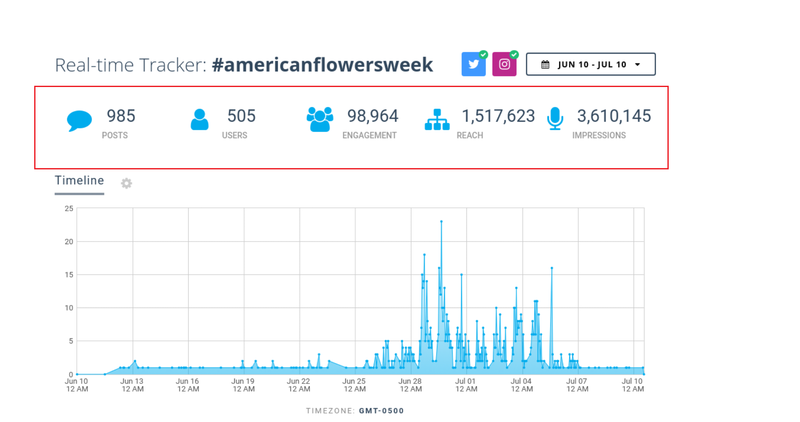 On social media platforms, #americanflowersweek received over three million impressions, incited over 900 original posts, and according to Real Time Tracker of Instagram and Twitter platforms, inspired a whopping 80.1% positive sentiments. As the Slow Flowers message continues to spread, here are some of the highlights from American Flowers Week 2018. On June 30th, Marion Square in downtown Charleston, South Carolina, bustled with activity in honor of American Flowers Week. 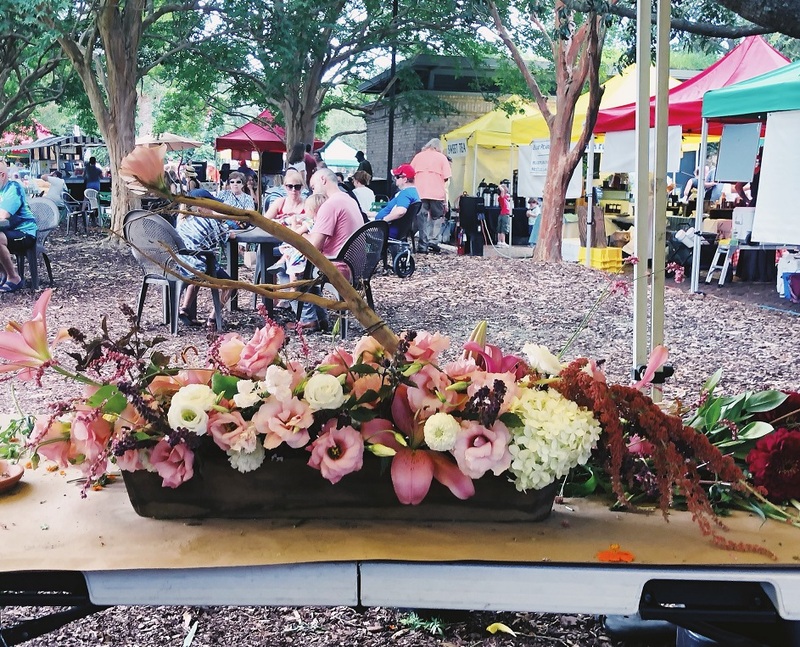 Three local designers competed in a “Bloom Battle” floral design competition at the Charleston Farmers Market to showcase their talents working with locally sourced and sustainable blooms. Laura Mewborn of Feast and Flora Farm helped organize the event, which showcased not only the designers, but also the Southern flower farms who provided the flowers. 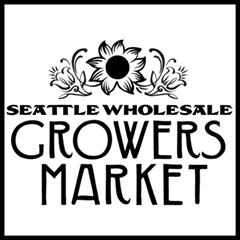 It’s important for us to educate the public about the importance of using locally grown flowers. They are all relatively young farms [providing the flowers], and when we all combine like this to host a big event, we are much more visible. People can see the impact that they have on the individual farmers, and they think of their purchasing power. 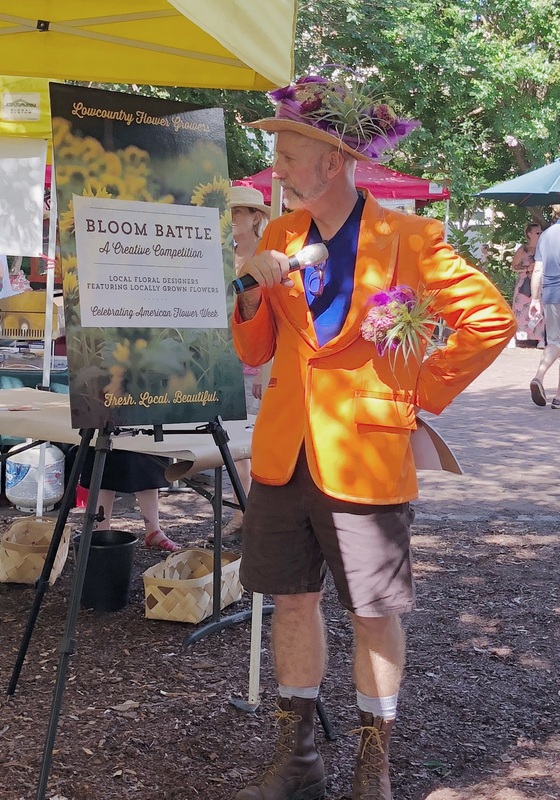 Judges and contestants participated in the Low Country Flower Growers’ fun event to promote American Flowers Week 2018. The two Bloom Battle judges, Nikki Seibert of Wit Meets Grit and Kelli Shaw of Kelli Shaw Designs, on the left, posed with the three competing designers, pictured on the right. The goal for the farmers, Laura explains, was to feature flowers that consumers may not be familiar with in terms of seasonal flowers that bloom during summertime. This diversity of American-grown flowers enticed locals and tourists alike to come to Mewborn and other farmers with gardening questions, wanting to know more about the benefits of locally-sourced blooms and how they might be able to grow them in their own gardens. 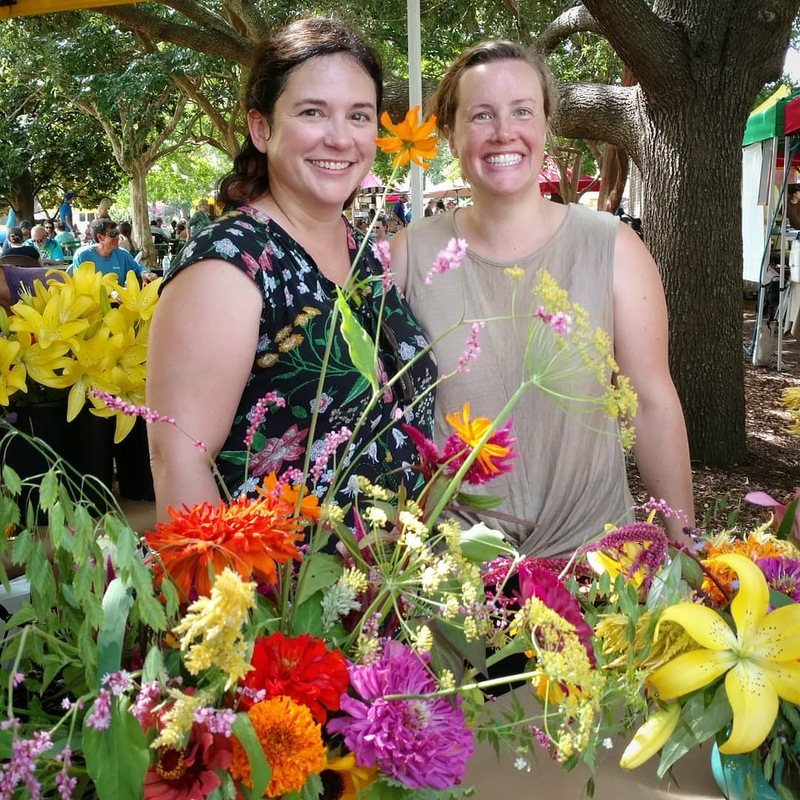 According to Laura, Marion Square’s Charleston Farmers Market was a successful venue to host the event as many tourists pass through the area who can ultimately spread the message of American Flowers Week and the Lowcountry Flower Growers coalition throughout the country. The winning designer, Tony Reale of Roadside Blooms, arranged a farm-to-table bouquet design that stole the show with its amaranthus, lisianthus, and natural-wood accent. In comparison to last year’s Lowcountry Flower Growers booth, where farmers simply handed out zinnias, Laura notes that this design competition allowed the farmers to do something that was more involved, and the response was largely positive. 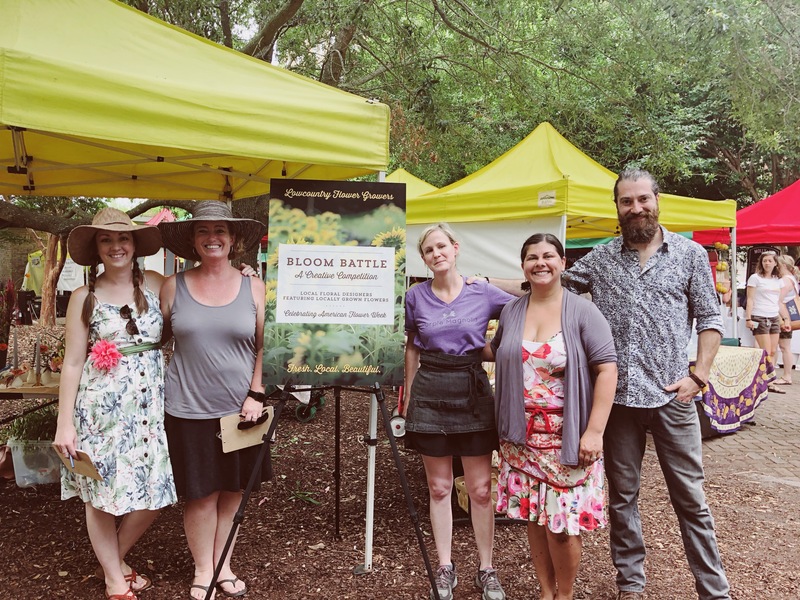 Tony Reale from Roadside Blooms ultimately won, but designers Ann Cinniffee from Purple Magnolia and Noah Sanderson from The Bearded Florist also received prizes to commemorate the event and celebrate in locally-grown, naturally sourced floral designs. 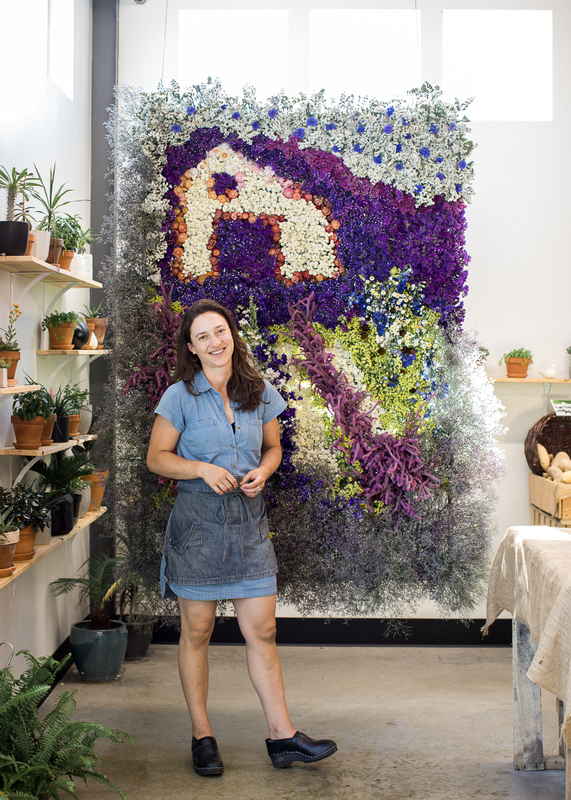 In the future, Mewborn wants to incorporate more of a fundraising feel for upcoming American Flowers Week events, and she will also be hosting another event for Lowcountry Flower Growers in August. 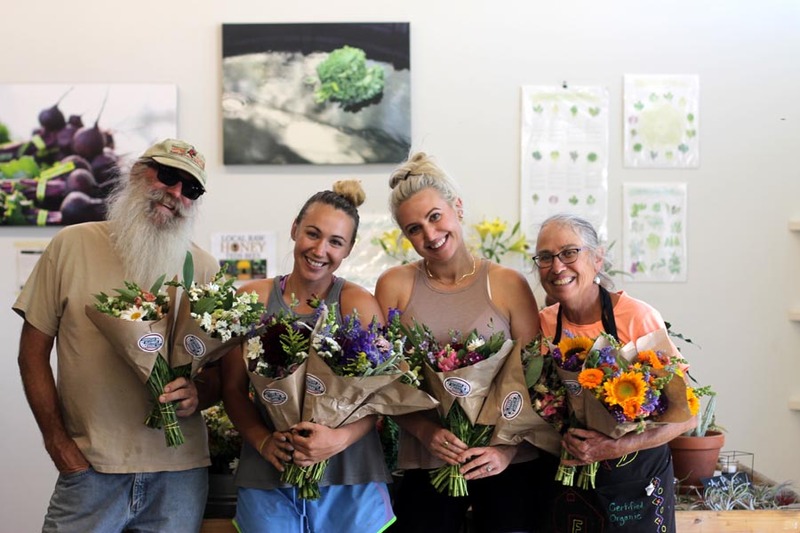 Laura Mewbourn of Feast & Flora Farm and Peachey Trudell of One Wild Acre smiled among their locally-grown blooms in honor of American Flowers Week. Mother-daughter team Joan Thorndike and Isabella Thorndike Church work side-by-side at Le Mera Gardens, Joan’s established flower farm in Talent, Oregon, providing fresh cut flowers directly to local florists, grocery stores, and for weddings and events. In the past, Isabella and her mother have plastered American Flowers Week stickers on each bouquet, and this year Isabella decided to take the celebration a couple steps forward by installing a 4-by-6-foot floral display including more than 5,000 stems of locally-grown Oregon flowers. The botanical installation took around six hours to complete with a small crew by her side, and drew substantial foot traffic into Fry Family Farm where she set up the display, Isabella says. 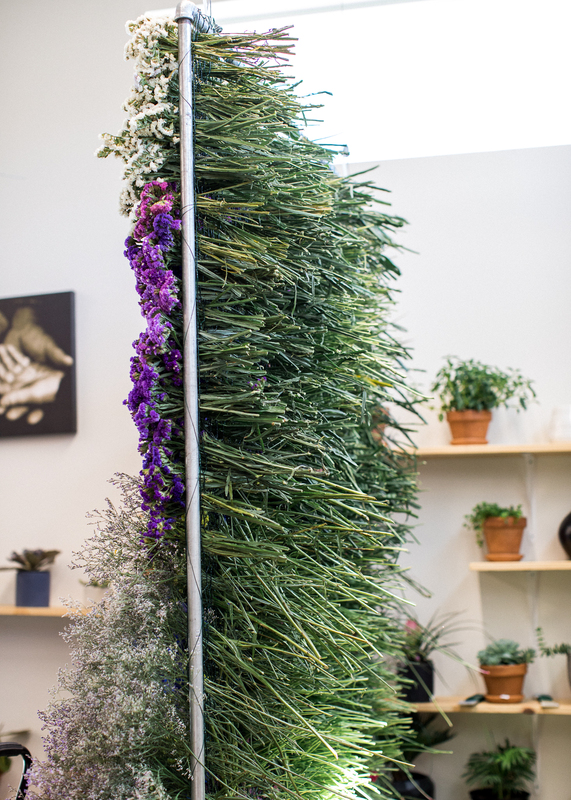 Isabella repurposed a ready-made metal frame from Fry Family Farm and hung it vertically, covering it in a chicken-wire base to arrange the flowers. 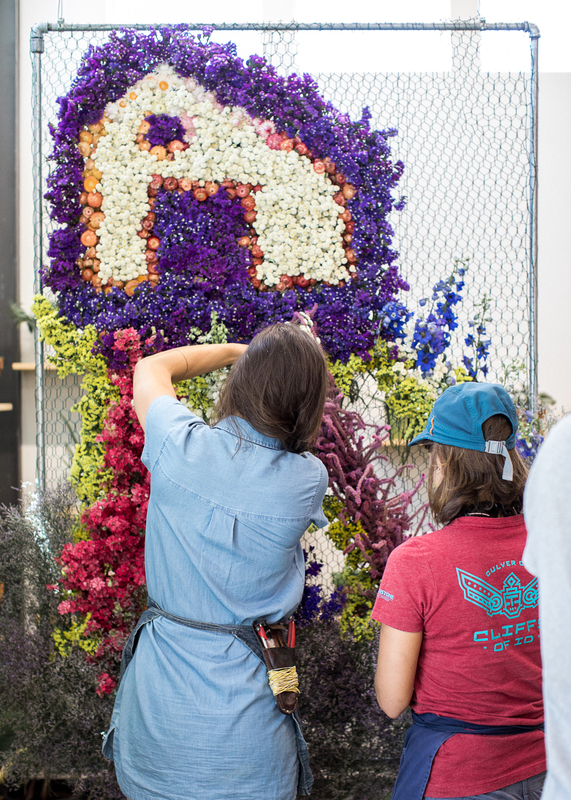 She harvested flowers such as delphinium, feverfew, Russian statice, and larkspur to create a life-size floral depiction of the Fry Family Farm logo, and kept the stems exposed from the back so that onlookers could get a feel for how many flowers were used in the display. The spectacle intrigued and inspired viewers to have a go at their own installations, and increased dialogue about the importance of locally sourced flowers. Along with the display, Jacklily Seasonal Floral Design, Le Mera Gardens, and Fry Family Farm used American Flowers Week stickers on the bouquets they sent out to recipients, and they handed out a free sunflower to every customer who walked in the shop. One Fry Family Store employee, Daria Lisandrelli, said that she was surprised by how many people were already aware of American Flowers Week. We’ve been promoting American Flowers Week across all sectors. We’ve had the AFW stickers on our bouquets, and when people come into the farm store, we give them a free sunflower in honor of the week. This year, we had the Fry Family Farm venue to have the installation piece and were able to bring it all together. 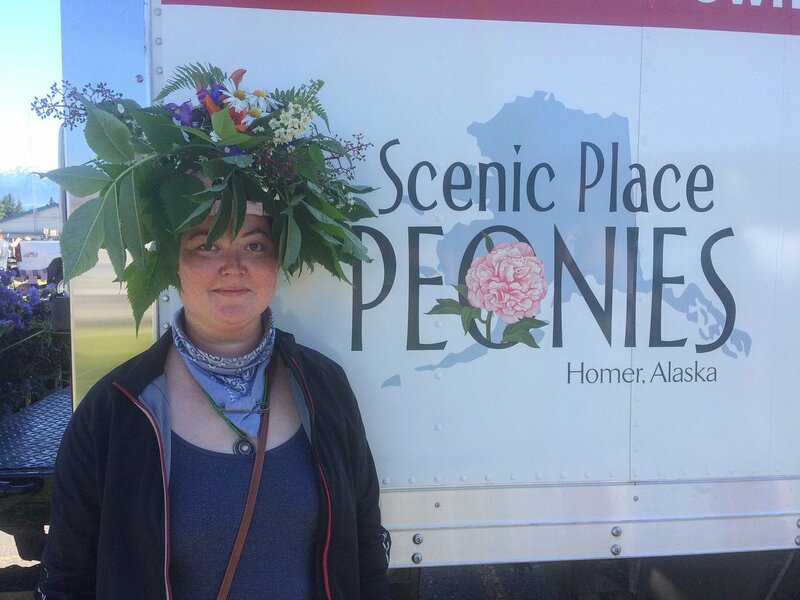 The staff of Scenic Place Peonies wore locally-grown flower hats to commemorate American Flowers Week during the Fourth of July parade in Homer, Alaska. Independence Day in Homer, Alaska, was blooming this year thanks to the farmers, employees, and designers from Scenic Place Peonies farm. As a long-time member of the Chamber of Commerce in Homer, which sponsors the parade, Beth Van Sandt and her crew were invited to drive their wrapped reefer truck in this year’s 4th of July extravaganza, handing out their farm-grown blooms to attendees and wearing locally-sourced flower hats to commemorate American Flowers Week. The response was overwhelmingly positive with exclamations of surprise and pure joy at receiving flowers from the crew,” she says. “I believe it brought awareness to many that we have beautiful wildflowers in our backyard and all it takes is cutting some to bring that beauty into our homes. The Scenic Place Peonies crew handed out “wild-sourced” chocolate lilies, geranium, and Alaska’s state flower, the forget-me-not, to parade-goers. Images of Scenic Place Peonies’ employees filled the farm’s Instagram and Facebook feeds, as they smiled and wore flower hats adorned with local greenery, tulips, daisies, and a variety of wildflowers. The flowers, sourced from their property of meadows in Alaska, brought awareness and happiness to the Homer, AK, parade. 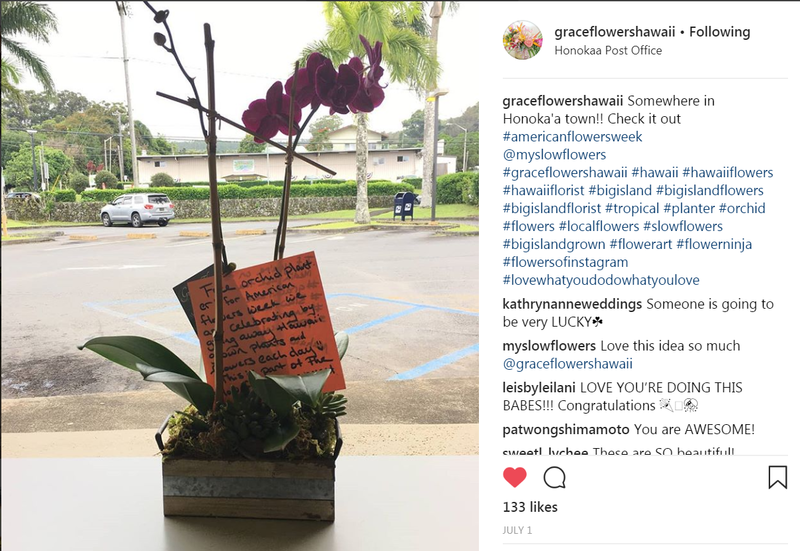 Grace Flowers Hawaii engaged Instagram followers in the week-long giveaway of blooms grown on The Big Island, making a lot of people very happy and educating them about local flowers. 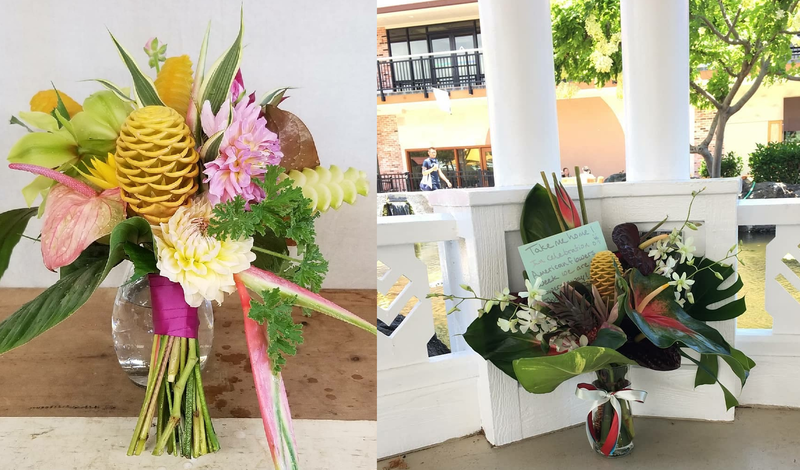 For this year’s American Flowers Week, manager Nicole Cordier and her team at Grace Flowers Hawaii decided to up the ante in terms of interactive customer service by hiding a “Free Bouquet a Day” each day somewhere on The Big Island. Each morning, a staff member would take a photo of the free floral arrangement and tease it on Instagram and Facebook with cryptic hints as to where customers might be able to discover it later in the day. Then, Nicole or a team member took the free bouquet, lei, or orchid to its hiding place, and snapped a photo for their social platforms, urging followers to move fast if they wanted to win the challenge. Along with the prize, she attached a note to the free merchandise describing the concept of the giveaway and why they decided to host the challenge during American Flowers Week. These free Bouquet of the Day arrangements featured locally-grown tropical flowers and evoked a cheery, summertime feel. 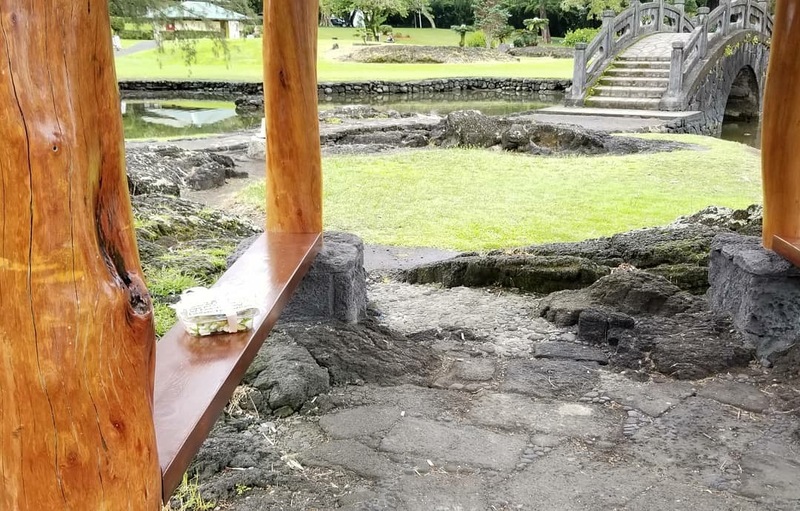 Each day, Grace Flowers Hawaii staff members hid their Free Bouquet of the Day giveaways in various scenic locations on the Big Island. By showcasing the diversity of plants grown by local farmers in Hawaii, Cordier brought attention to the Slow Flowers Movement through tropicals and warmer-temperate plants. From orchid leis to large-anthurium arrangements to Hawaiian-grown orchid plants in attractive containers, the spectrum for the Free Bouquet a Day Giveaway was broad and indicative of the biodiversity on the Big Island of Hawaii. 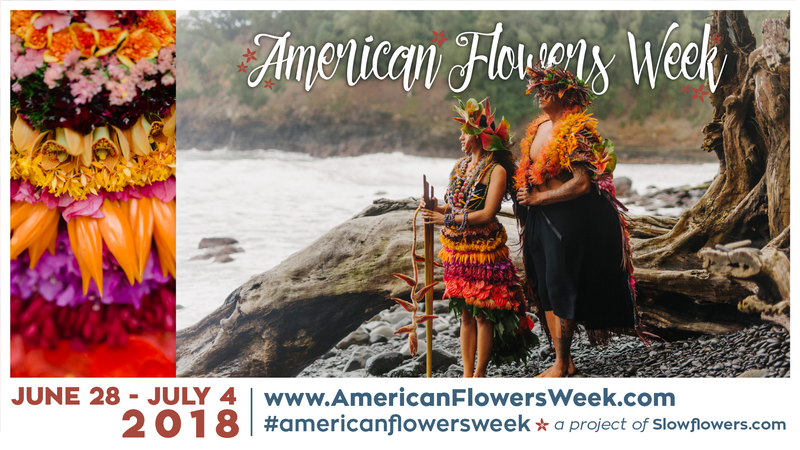 American Flowers Week, to us, is a time when specific attention is placed on supporting American flower farmers, which is important because it brings a concerted shift and push in consumer awareness about where flowers are grown and how far some flowers must travel from origin to market. It’s important to support our domestic floral/agriculture industry which will in turn make this a viable livelihood for our workforce, and better for this planet. Along with the events outlined above, many other celebrations occurred across the nation to honor American Flowers Week. Here are a few more of the highlights. 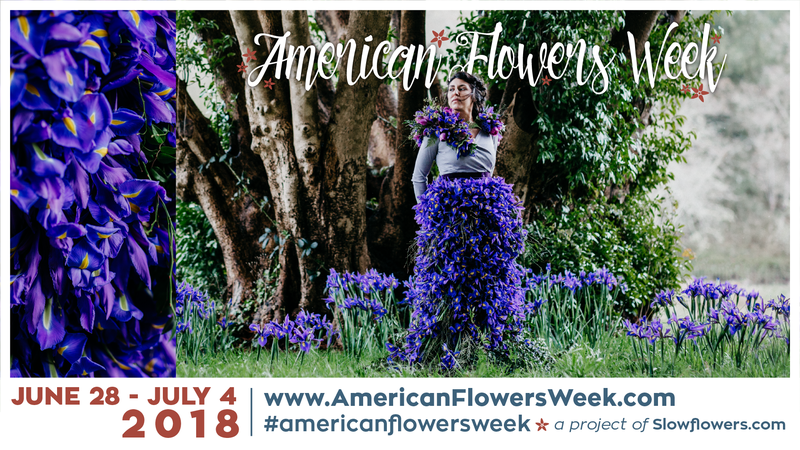 Longfield Gardens, based in Lakewood, New Jersey, hosted its second American Flowers Week photo contest from June 30th through July 4th, asking their social media followers to post a photo of their favorite American-grown arrangements in order to win a $100 gift certificate. 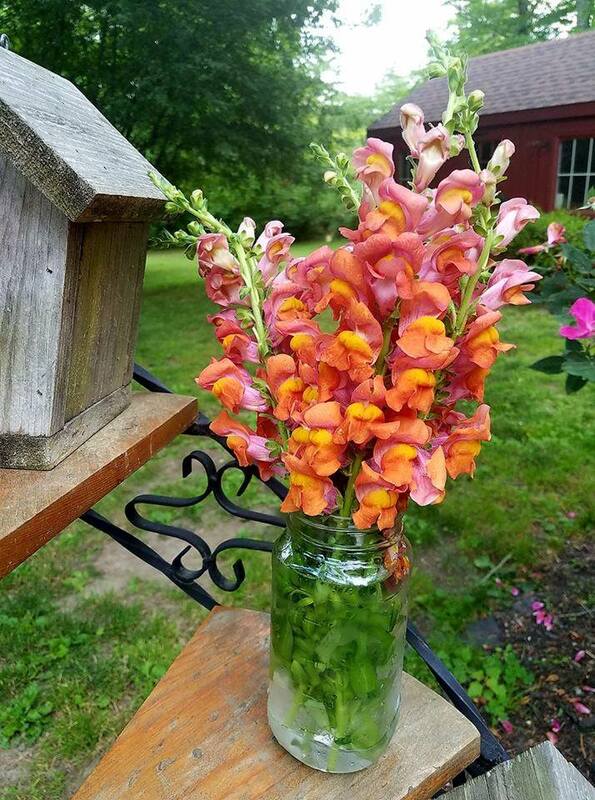 The winner, Laureen Kelly, posted a photo of her healthy snapdragon arrangement to the Longfield Gardens Facebook page (above). 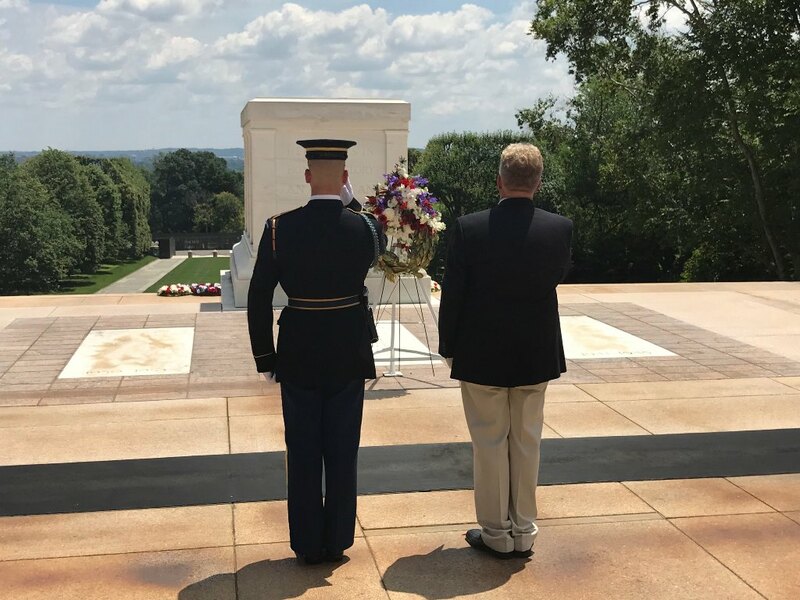 Syndicate Sales’ Director of Education Tom Bowling created a special arrangement to be placed in front of the Tomb of the Unknown Soldier in Washington, D.C. with Syndicate’s new Made in America Easel Stand, which is manufactured in the United States (above). 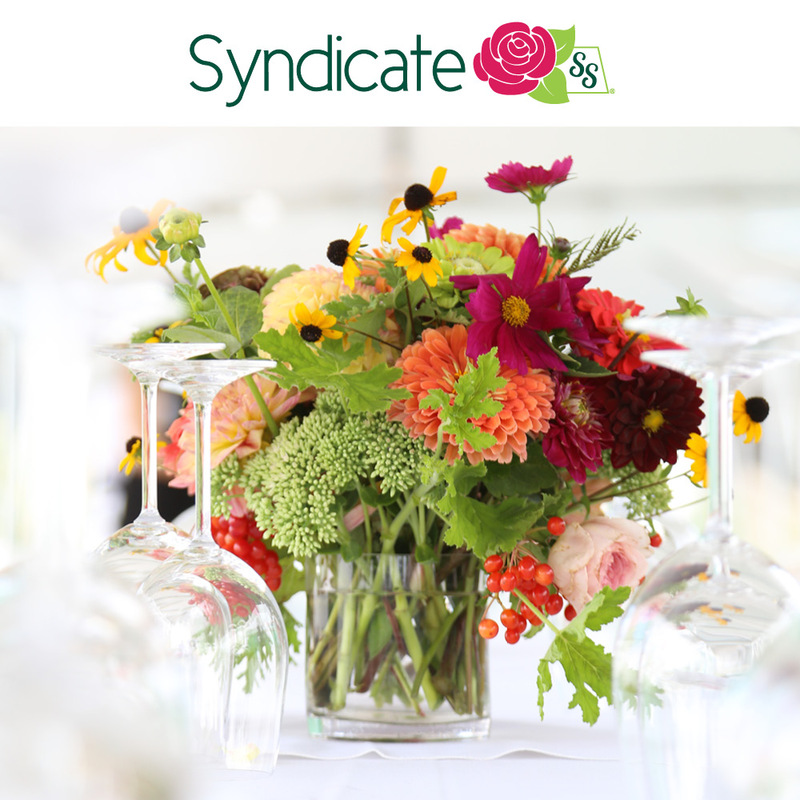 Syndicate Sales gave an attribution to American Flowers Week through the hashtag on Instagram. 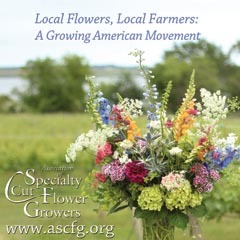 In honor of American Flowers Week, Connecticut-based Slow Flowers members, Maple and Mum Floral Designs announced that they will be “bringing locally grown flowers to the Connecticut shoreline and beyond,” through an Instagram post on July 4th. 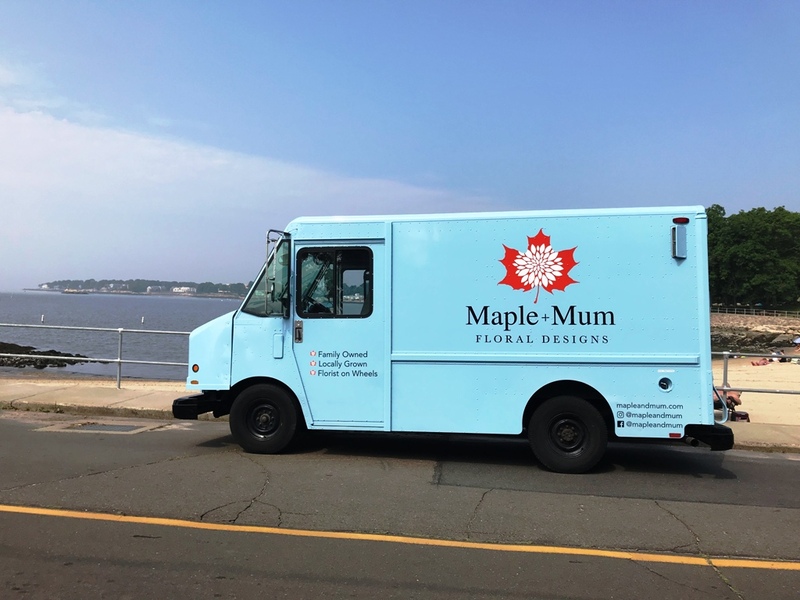 Maple and Mum’s mobile flower shop is up and running, and followers are urged to check their page for upcoming locations along the East coast (above). 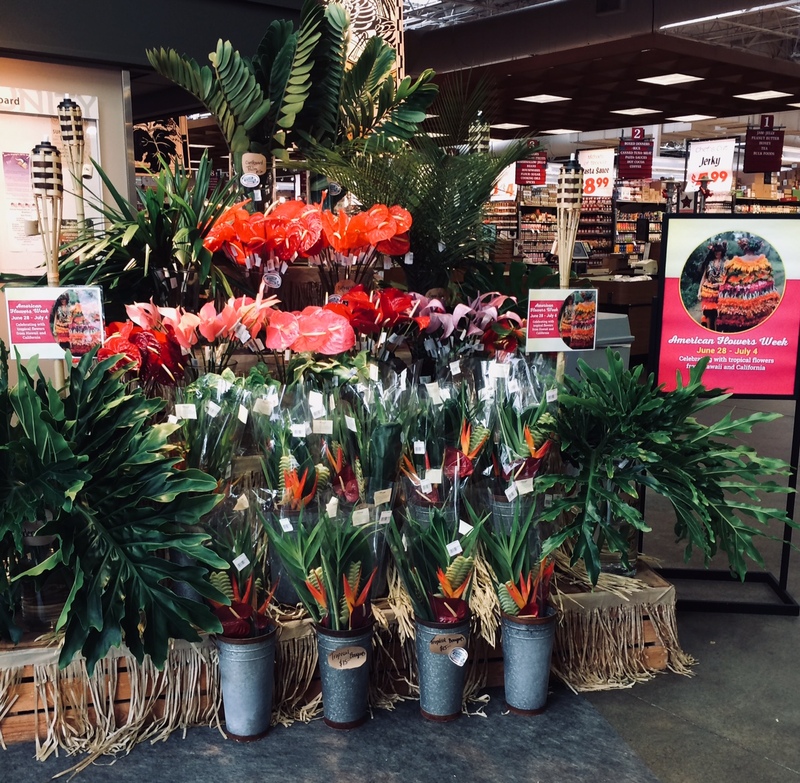 At Town and Country Markets in Seattle, Washington, floral category director Melanie Cherry and her team set up an American Flowers Week display featuring Hawaii-grown tropicals. 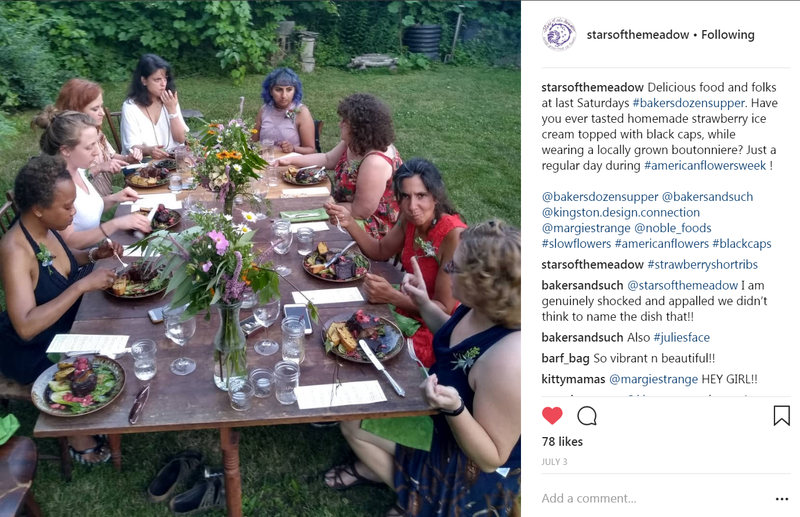 On July 3rd, Stars of the Meadow of Accord, New York, hosted a “Baker’s Dozen Supper” where attendees gathered for “homemade strawberry ice cream topped with black caps,” according to their Instagram post. Locally grown boutonnieres and arrangements made an appearance at the event, where guests celebrated American-grown flowers. With this feature story, we’re introducing a new Slow Flowers contributor, Mackenzie Nichols. Mackenzie is a freelance writer and experienced floral designer. She writes regularly for the Society of American Florists’ Floral Management magazine, and her work also appears in The Boston Globe, The American Gardener, Canadian Florist, and Tastemakers music magazine. She interned with MSNBC, Donna Morgan, and The American Horticultural Society and holds a Bachelor’s degree in Journalism with a minor in Music Industry from Northeastern University. 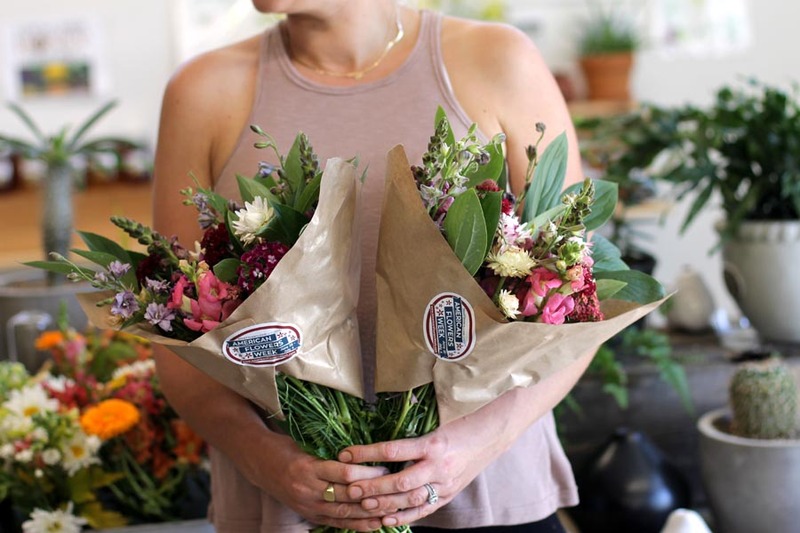 Mackenzie worked as a floral designer for Fern Flowers in Boston’s Back Bay Area, and Tiger Lily Florist, the top flower shop in Charleston, South Carolina. She lives in Manhattan’s East Village. 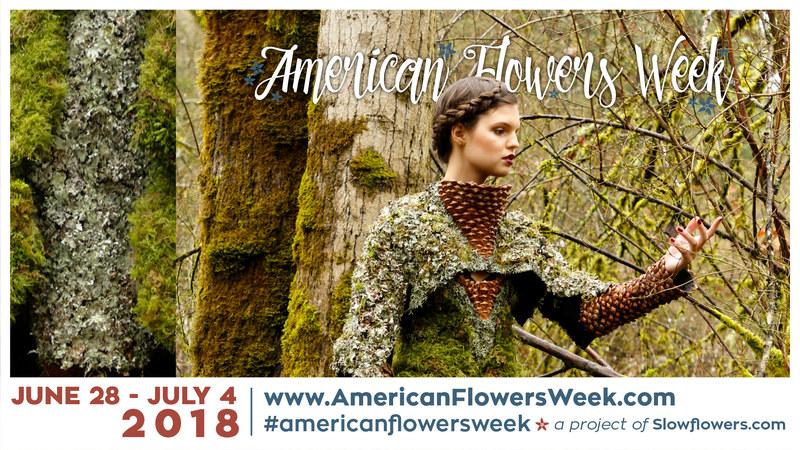 American Flowers Week began in 2015, and it has grown significantly in three short years to involve participation across all channels of domestic flowers — from seeds to bouquets to beautiful floral fashions. Your involvement helped us generate more than 5 million impressions on social media (Instagram and Twitter) during this year’s campaign, a major leap from the 400,000 measured in 2015 and 1.2 million measured in 2016. 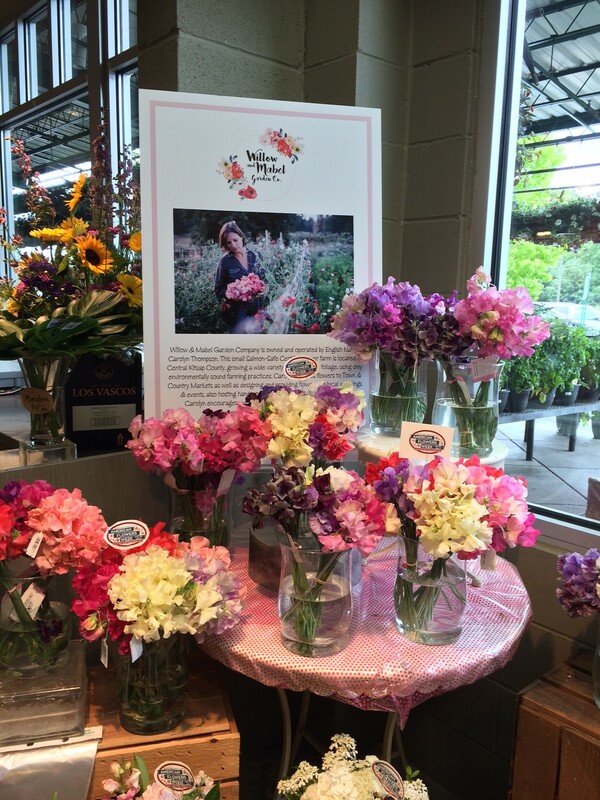 We’re making a difference in the relationship people have with their flowers — and that’s inspiring! It’s been a while since I’ve posted an update here, but not because I have forgotten about American Flowers Week! The fact is, we’ve been hard at work developing next year’s amazing promotions, partnerships and platforms to elevate and expand this one-week celebration of domestic botanicals and you can be sure that plans are well underway for an incredible American Flowers Week 2018. I’m excited to share some of the latest news with you! As you know, for 2016, we commissioned Susan McLeary of Passionflower Events to design a beautiful red-white-and-blue floral ‘fro using all American-grown blooms. With talents of photographer Amanda DuMouchelle, makeup artist Imagine Three Beauty Studio and our beautiful model Monique Montri, the iconic image is still posted and shared today. That led to the ambitious campaign to produce an extensive lineup of floral fashions showcasing the best local, seasonal and domestic flowers, unveiled earlier this year. The floral creativity we witnessed by Slow Flowers members — flower farmers and floral designers — was mind-blowing and we’ve yet to share all of the images captured by our photographers. 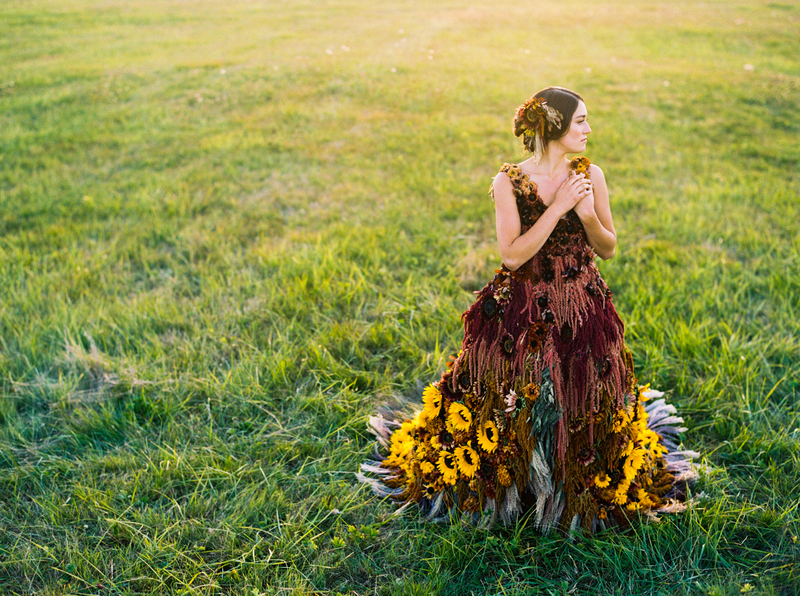 You can read about our first piece of 2017, a sunflower gown designed by Amy Kunkel-Patterson of Gather Design Co., modeled by stylish flower farmer Kelly Uhlig of Sonshine Farm and captured on film by Anna Peters, with hair and makeup by Yessie Libby. A quartet of four other amazing floral fashions followed, and I’ve been remiss about posting those — so look for the back-story of our rose tutu, floral cape, woodland menswear vest and peony Geisha in the coming weeks. Those were created by Teresa Sabankaya of Bonny Doon Garden Co., Tara Folker of Splints & Daisies, Riz Reyes of RHR Horticulture and Arthur Williams of Babylon Floral Design. But for now, let’s jump ahead to 2018 . . . and our PEONY Look! Slow Flowers‘ designers and flower farmers have already stepped up to help us capture two of next year’s five floral looks on film and while we can’t reveal the completed designs yet, we can credit the talented teams and give you a little behind-the-scenes taste of what to expect when promotions launch for American Flowers Week 2018. 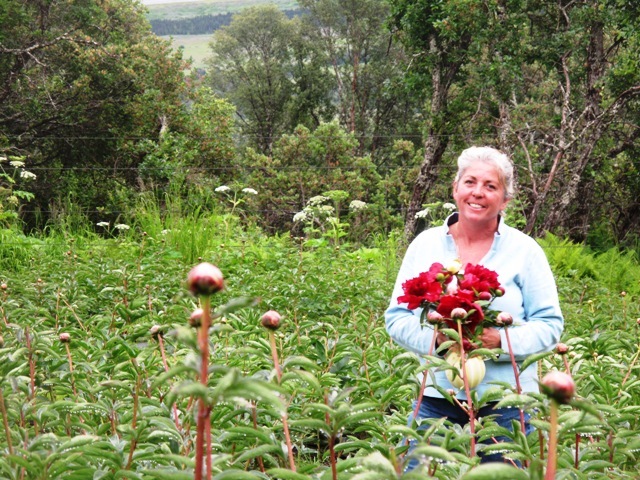 In July, with Kelly Shore of Petals by the Shore and Beth Van Sandt & Kurt Weichhand of Scenic Place Peonies, we visually documented a quintessential moment for Alaska-grown peonies! Kelly and Beth partnered on numerous creative endeavors during a single week at the end of July 2017 . . . including the Field to Vase Dinner and a romantic styled shoot that Kelly designed, which was photographed in Scenic Place’s peony fields and published in the October issue of Florists’ Review (in the Slow Flowers Journal section). But . 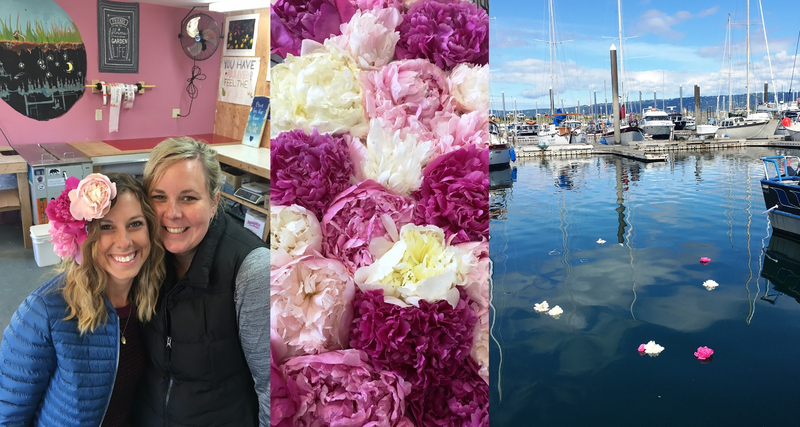 . . thanks to Beth’s brainstorm and Kelly’s willingness to jump in and say “yes,” we also produced a thoroughly unique peony experience on the docks and shoreline of the fishing marina in Homer, Alaska. Beth wanted our American Flowers Week “look” to blend Homer’s two economic engines — commercial fishing and peony farming. Joshua and Brittney Veldstra of Homer-based Joshua Veldstra Photography signed on to document the story with their amazing talents. The folks at Grunden’s donated a pair of white bib overalls and “Deck Boss” boots, the feminine version of the attire you’ll see worn by commercial fishing pro’s. Our beautiful model jumped right in and said “yes” to everything we asked of her. Ashley Johnson, flower-farmer-in-training, spent this past summer as a WOOFER (that’s World-Wide Opportunities on Organic Farms) at Scenic Place. We were super lucky that she agreed to be our model! There were other helpers who made this shoot such a success: Lisa Thorne of Thorne & Thistle, a Slow Flowers member who traveled to Homer to volunteer for all of the Field to Vase activities; and Elizabeth Morphis, a Scenic Place Peonies team member who assisted with hair, makeup and design! Enjoy a sneak peek of our visual story above — you’ve never before seen Alaska-grown peonies expressed in such a creative way that underscores the importance of season, place and beauty! The entire reveal will occur during American Flowers Week, June 28th through July 4th! I thank everyone who made this happen — they are my heroes! 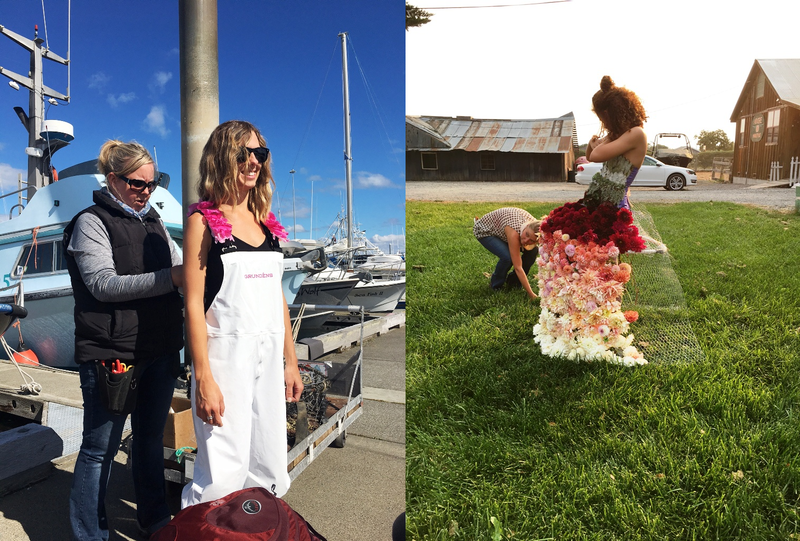 From left: designer Heddah Brorstrom attaches more than 350 local dahlias to the “skirt”; a lovely detail of the floral artistry expressed in this project; and real-time photography. Next up: Dreaming of DAHLIAS! I’ve been wishing for a dahlia “look” for American Flowers Week for many reasons, the most obvious of which is that the renaissance of field-grown dahlias has been a game-changer for Slow Flowers members — farmers and designers alike. No other flower is so precious and coveted in summer and early autumn. No other flower is dependent on local sourcing, a boon for those who grow and design with them. I asked Slow Flowers member Kate Rowe, co-owner with Omar Duran of Aztec Dahlias in Petaluma, California, if she would sponsor a photo shoot depicting dahlias in a floral fashion — and she said YES! 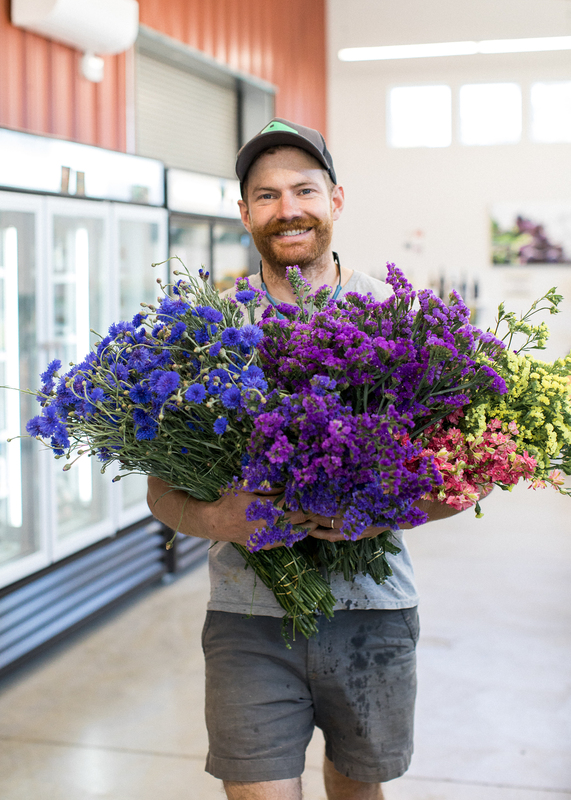 We agreed together that Hedda Brorstrom, a farmer-florist who owns Full Bloom Farm in nearby Sebastopol, California, would be THE person to design the look. Yet the larger backdrop for our October 16th photo shoot, captured by Becca Henry at Aztec Dahlias’ farm, was less than ideal. Everyone in Sonoma County has been coping with the onslaught of horrendous wildfires — in fact, every person involved in this photo shoot has a connection with a loved one who has lost everything to the fires. Working conditions for flower farmers in Sonoma County have been highly risky due to the poor air quality and intense heat. We weren’t really sure that the schedule would work out due to all these external (negative) conditions. But . . . the dahlia dream team pulled it off — and I’m so impressed with their talents! The entire look, worn so elegantly by model Sophia Lane, was achieved due to the “village” of talents. THANK YOU to everyone involved! 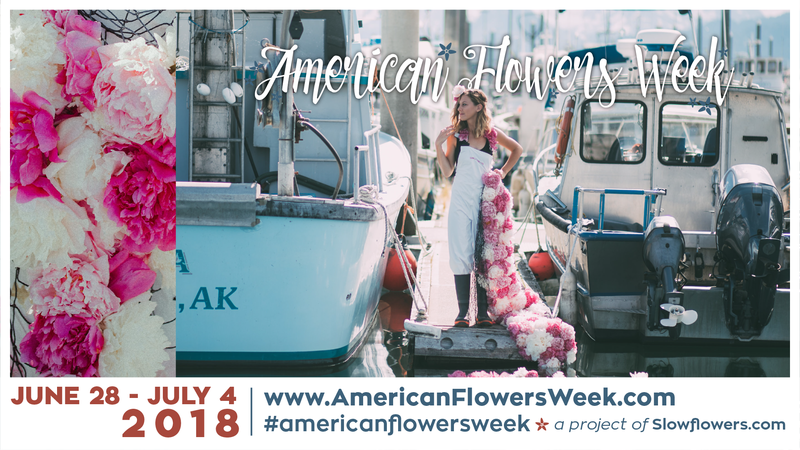 Our anticipation for American Flowers Week 2018 continues and I’m eager to involve more Slow Flowers members in the campaign! 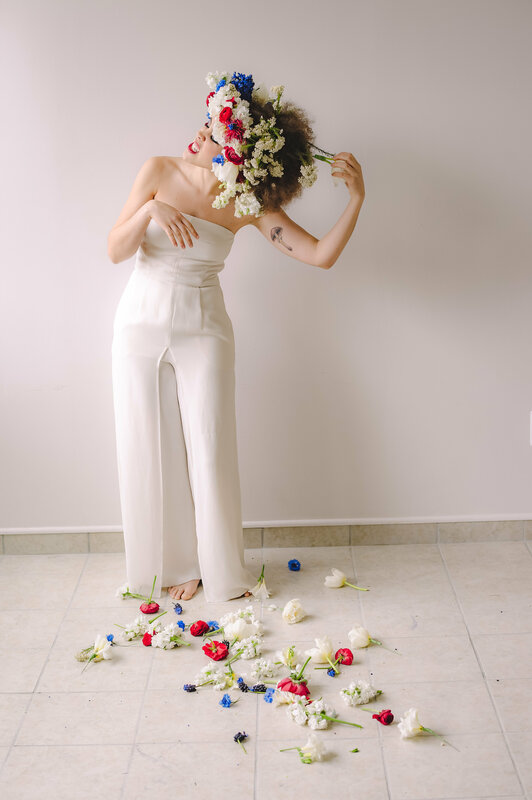 The Peony and Dahlia fashions will be published in the Slow Flowers Journal section of Florists’ Review magazine in our June 2018 issue — that’s the big “reveal” of all this gorgeous American-grown creativity! And stay tuned for more behind-the-scenes news to come . . . The 2nd annual American Flowers Week is a wrap, folks! So many of you participated this year and we’ve calculated a 250% increase in social media engagement over 2015. That’s seriously impressive! Later this week I’ll post more on our “American Flowers Week by the Numbers,” but for today, I want to announce our winners and thank our sponsors. We noted more than 1,080 #americanflowersweek posts on Instagram and that’s not counting shares and reposts! 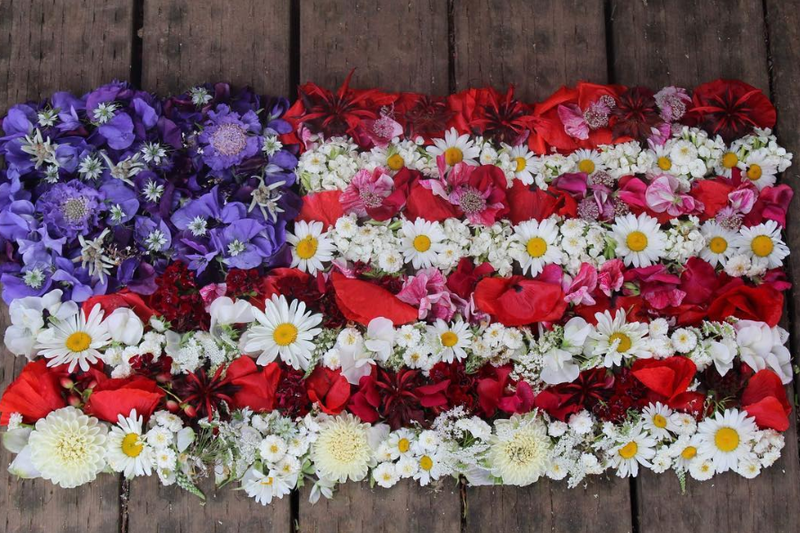 A total of 111 of you designed and posted American Flowers Week bouquets for our “50 States of American Flowers” gallery. 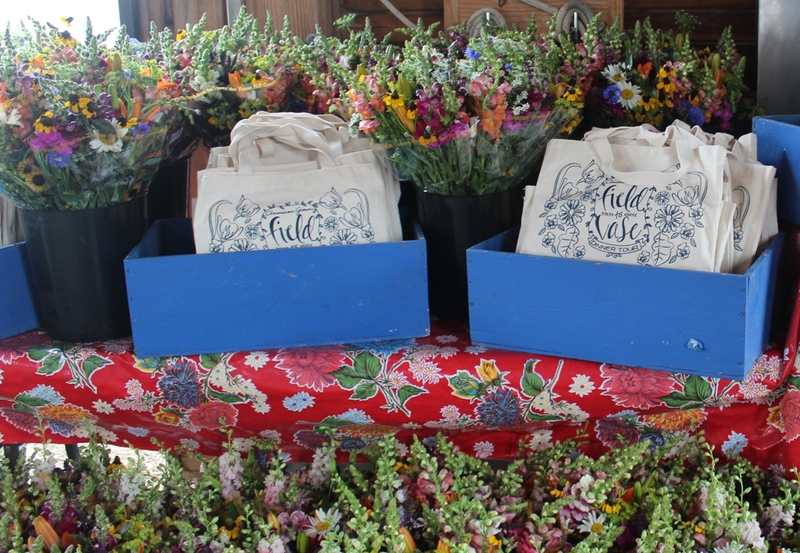 Not every state was represented, but flower farmers and floral designers from 33 states did participate — that’s pretty awesome! 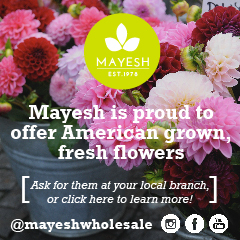 From Mayesh Wholesale: Five $100 gift certificates for buying beautiful, local and American-grown Flowers! The winners are: Maple Flower Farm of Vermont (Liz Kreig); Erika’s Fresh Flowers of Oregon (Kathleen Barber); Pot & Box of Michigan (Lisa Waud); Daniele Alion Strawn of California; and Flower Duet of California (Kit Wertz and Casey Schwartz) CONGRATULATIONS!!! From Syndicate Sales: Three $100 shopping sprees for American Made glass vases and other accessories! The winners are: Crowley House of Oregon (Beth Syphers), Wildcraft Flowers of Georgia (Carroll Candler) and The Flower Peddler of New Jersey (Bethany Bernard-Vohringer) CONGRATULATIONS!!! 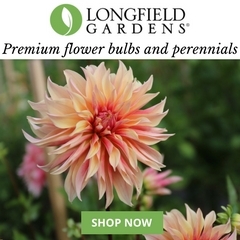 From Longfield Gardens: Two $50 gift certificates for bulbs and plants! The winners are: Bonny Doon Garden Co. of California (Dawn Mayer) and Ballard Market of Washington (Kristen Parris and staff) CONGRATULATIONS!!! 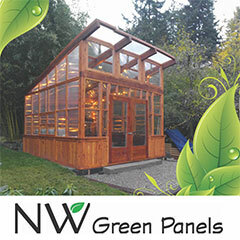 The winners are: Mountain Road Flower Farm of Massachusetts; Morningsong Farmer of Washington (Janelle McCrackin); Lollie Fleur of Washington (Kim Richards); Five Forks Farm of Massachusetts; and Emerald Petals of Oregon (Hilary Holmes) CONGRATULATIONS!!! 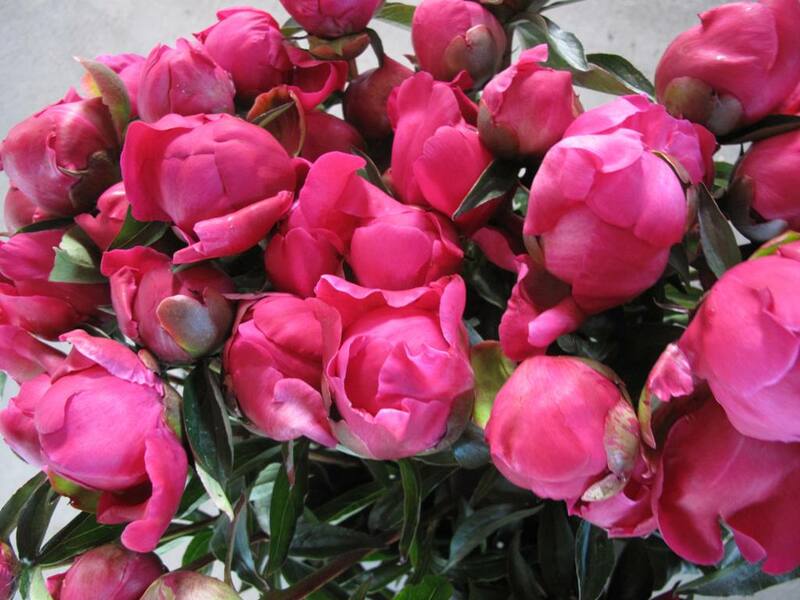 From Slow Flowers member Scenic Place Peonies: One box of 20 beautiful and fresh Alaska-grown peonies shipped to you! More details here. The winner is: Full Bloom Farm of California (Hedda Brorstrom) CONGRATULATIONS!!! Check out the entire gallery of bouquets and blooms here! Want a box of fresh Alaska peonies?! Beth has donated a box of 20 stems of her gorgeous Alaska peonies to the July 4th American Flowers Week drawing! So far, we’ve received 35 entries from 21 states . . . so here’s your reminder! 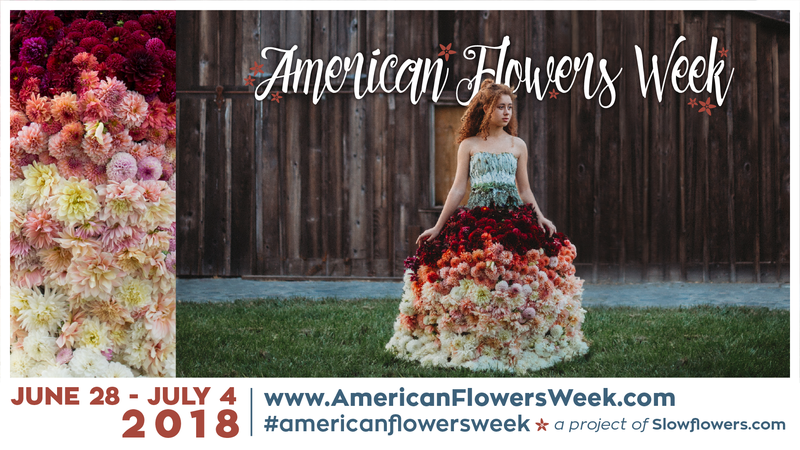 There’s still time to submit a photo of your Red-White-And-Blue bouquet, centerpiece or armload of blooms to the 50 States of American Grown Flowers invitational! Lots of great prizes will go to winners in our July 4th drawing. Here’s a list of previously announced prizes, donated by our sponsors. Thanks so much, Beth! We can’t wait to share your Alaska-grown, American-grown blooms with one lucky winner! Our Sponsors, Friends and Partners are super-generous! To show their support for American Flowers Week, these “flower friends” are donating some awesome prizes for our July 4th Drawing. Below is our initial list — we’ll soon expand this list with more prizes. 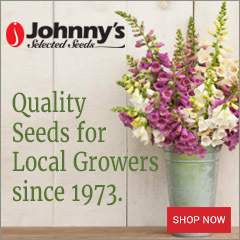 Enter the “50 States of American Grown Flowers” contest and your name will be added to the pool of those eligible for an amazing array of giveaways.